Aside from the occasional agonizing experience of stepping barefoot on a LEGO, these toys have been nothing but good to us this year. 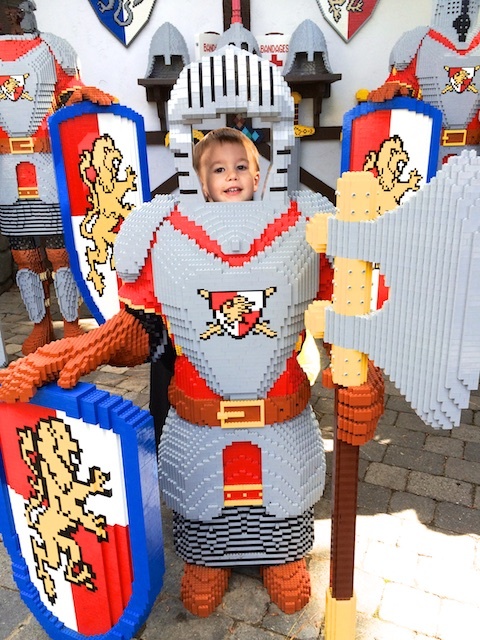 Our son has an impressive ability to take the same ten blocks and turn them into “invention” after “invention” all day long, our baby rarely tries to stuff the little choking hazards into her mouth anymore, and we even took an awesome family vacation to the LEGOLAND theme park, too! We sometimes refer to our youngest child as our “wild animal” baby. This is partly because she’s always doing something daring that makes us fear for her little life. But it’s mostly because her hair is insane, with frizzy, out-of-control bangs that cover her eyes – and make her look just as crazy as she acts. 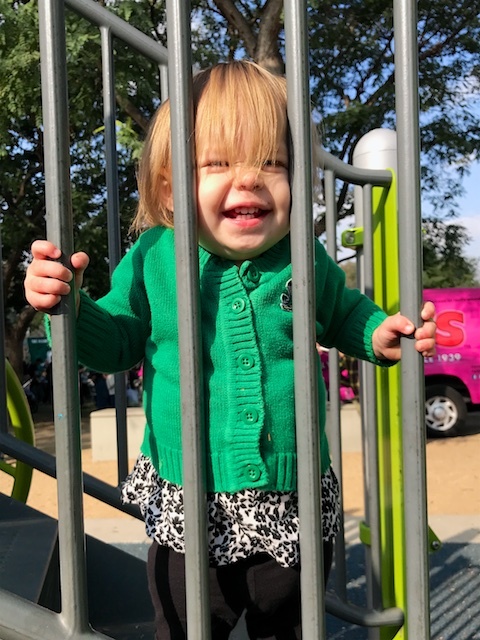 When a misinformed, passive-aggressive parent started talking smack about our baby at an indoor play place last fall, the Doctor had to set her – and all the other overly-competitive parents out there – straight. 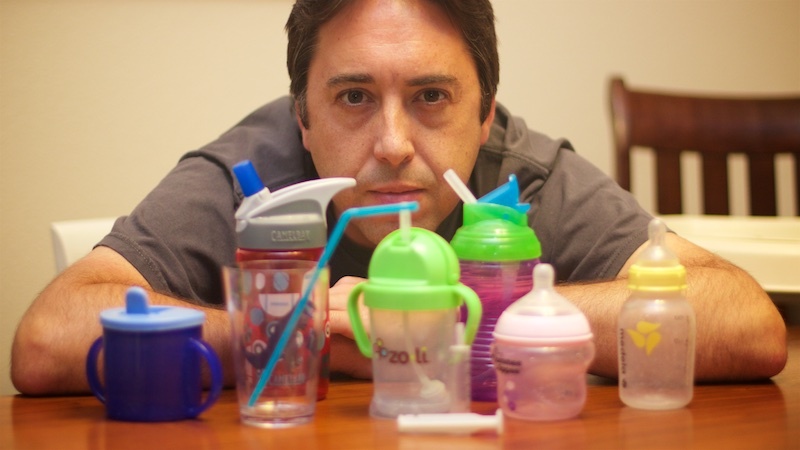 When Mommy left town for a girls’ weekend with college friends over Memorial Day, Daddy pulled out all the stops to make sure our baby didn’t accidentally get weaned off of breast milk. Our Baby Girl started talking this year, much to the delight of anyone within earshot of her adorably sweet little voice. 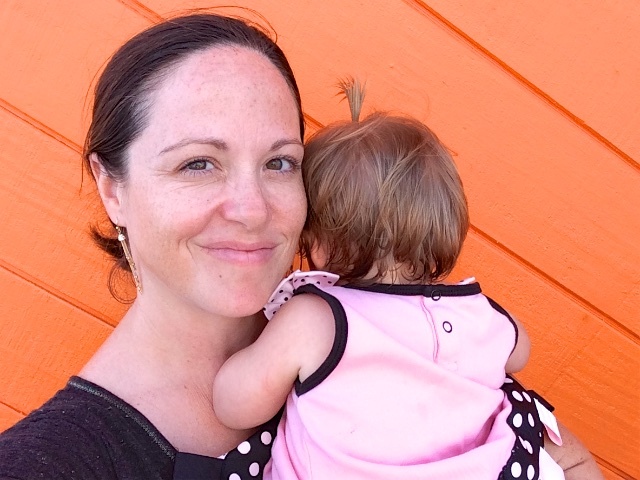 Unlike our first two kids, her first word was “Mommy” (not “Daddy” – score one for the Doctor! 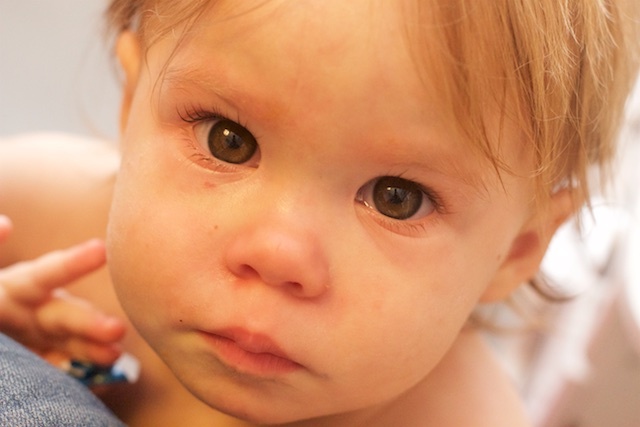 ), but her most used word was most definitely “Owie.” Almost every time she’d cry, she’d say “Owie, owie, owie.” Thing is, we’re pretty sure that most of the boo-boos she was referring to weren’t physical – they were emotional. 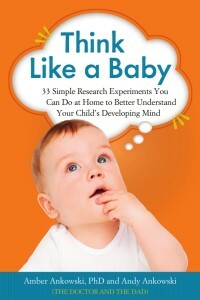 In June, Think Like a Baby, our funny and informative parenting book that has been super-easy to buy in the U.S. for over a year, went on sale in India, too! Waiting for the Korean, Russian or Hungarian translations? They’ll be coming your way soon! Our son can’t get enough of gross, creepy, scary stuff, even at the dinner table. 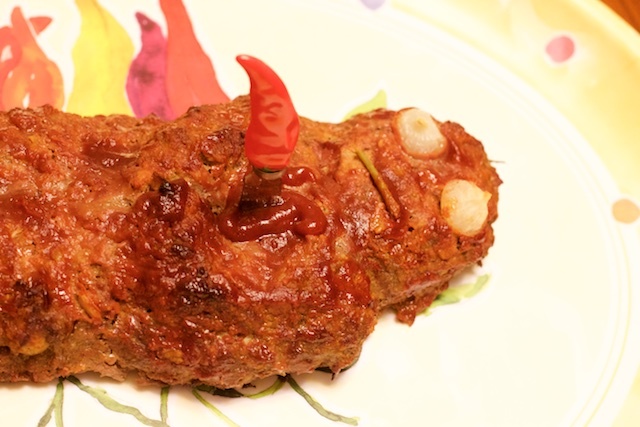 Here’s a dish he found in a Halloween recipe book he got at the library and insisted that we make – right around Valentine’s Day. 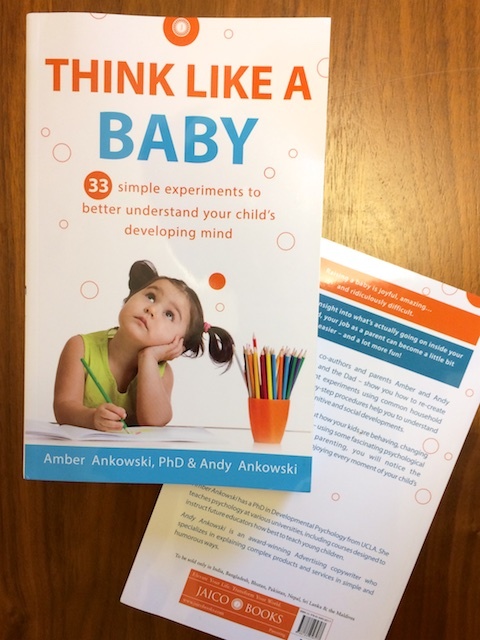 When we’re not doing speaking engagements or writing as The Doctor and The Dad, Andy is a full-time advertising creative director and Amber is a part-time professor. And that’s all on top of our more-than-full-time job of raising three kids. So you might be surprised to learn that we’re not the most productive members of the family. That designation goes to our Six-Year-Old Daughter, hands down. 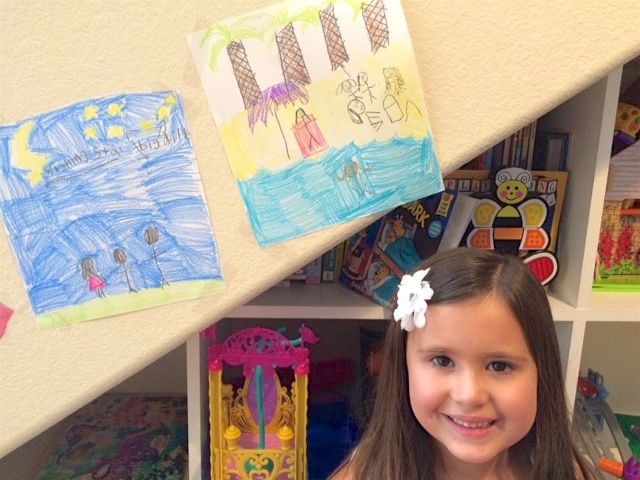 She’s constantly drawing pictures to decorate every wall of the house, writing and illustrating her own little books, and making cards and gifts for everyone she knows. She diligently plans new projects by deciding on something to make, writing “to-do” lists to get herself organized, collecting the stuff she needs, and finally making her creation. She’s a machine. We’ve made a bunch of cool memories this year. We’ve gone on fun family day trips and vacations, and all of the kids have done some majorly adorable stuff and hit some big milestones. And the one thing that has been with us through it all? EXHAUSTION. Seriously, people. We’re freaking tired. But you know what? It’s a brand new year. So maybe, just maybe, our New Year’s resolution for 2017 will be to get a whole lot more sleep!